Again, you cannot ‘reserve’ a parking slot by standing in it—whether it’s in a mall, in front of a restaurant, or in an open parking area. It’s inconsiderate and lazy, and it’s a practice downright frowned upon by, well, everybody. 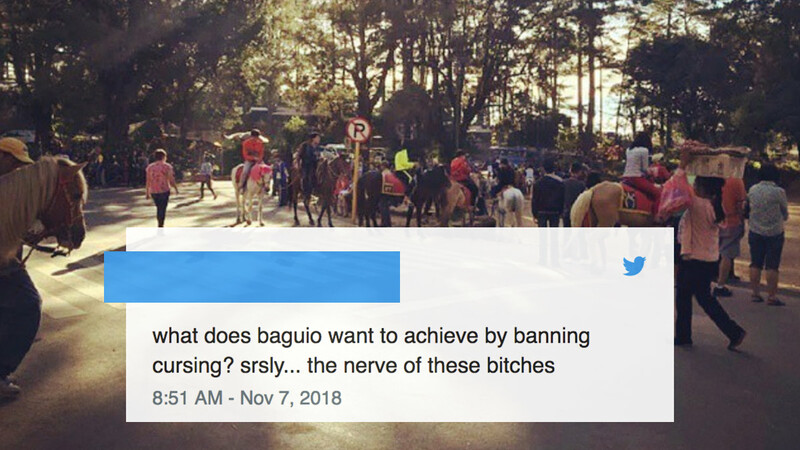 Still, it isn’t technically a crime, so if you want to go right ahead and look like an imbecile, nothing’s really stopping you—unless parking management or whoever’s in charge of the facility decides to make it prohibited. 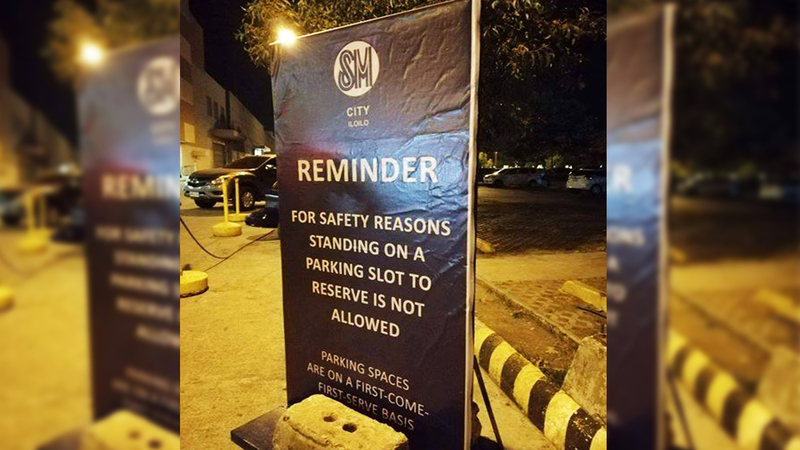 This is why we hope more malls follow in the footsteps of SM City Iloilo, which has put up this gigantic sign reminding parkers of the obvious. That’s a pretty nice way of putting it. “Safety reasons.” We agree, because getting in between an open parking space and a motorist who’s been circling the lot for nearly an hour looking for one isn’t exactly the safest idea. On a more serious note, good on this establishment for finally putting its foot down. The only way to get these hard-headed individuals to get in line is to hit the nail on the head, over and over again.